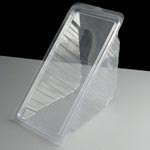 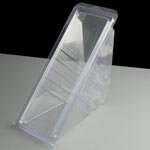 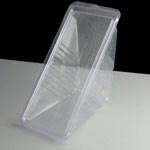 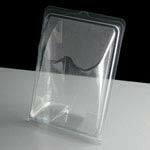 We offer a range of sandwich wedges in a selection of sizes and styles, from singles to deep filled and triple sandwich wedges in both hinged plastic and biodegrable cardboard styles. 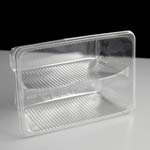 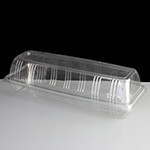 We also stock a hinged plastic tortilla wrap container and a 9" baguette container. 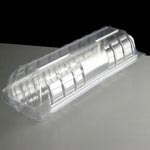 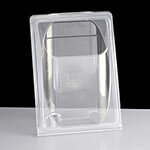 All containers are self sealing and don't require a lidding machine. 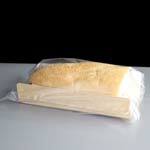 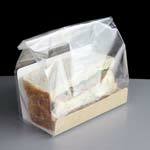 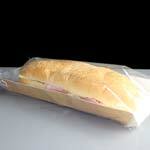 All our hinged sandwich packaging is 100% recyclable. 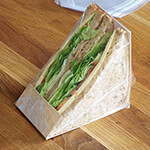 Sandwich labels also available at Cater For You too. 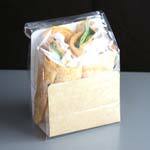 We also stock a range of biodegradable sandwich packaging including sandwich wedges, baguette and tortilla boxes, click to view these products and prices.